That a few square inches can be a whole world is a very swell thing. Between cloth discoveries and the crazy collection of things we're finding as we clean out that room, I'm really feeling like an explorer these days. Thinking about disheveled color wheels mixed with memories. one day more . . . It's the last day of school tomorrow. I usually don't do well with transitions, but I think I'm going to happily stitch my way into summer. Years ago, before we had the boys, my brother called in a panic. His son was going into high school, "We've only got four more years with him! What are we going to do without him?!" Three years later he was saying, "He's making us nuts! How long till he gets out of here?!" I told him it was great he was acting out, it would make it easier to let him go. I should call my brother. It will be flying off to . . . There were twenty heart-filling wonderful comments on the "gifts" post. Number seventeen was the winner, that would be you, Nancy! I'll be in touch . . . Thank you, again, for all of your generous thoughts, you're all so swell, oxo. almost through . . . This time of year is always busy, tiring, fun, and a little sad. It's hard to say goodbye to the students who have found their way into my heart, but we are all ready for a break. I started to fall asleep while listening to a student read today, but that may have been due to the book (it was about a zombie goldfish. Don't even try to imagine it.) We've made it through the concerts, potlucks, and a baseball tournament (with more to come). Tomorrow Blue graduates from high school (trying not to think about that too much.) Instead, I am focussing on the fact that four days from now it will be summer vacation, with hours and hours for stitching! A very big Thank You to all of you who have left such sweet, kind and lovely thoughts on yesterday's post! I will close the comments at the end of Tuesday, so there's still time to add your name to the hat before the drawing (that will probably happen Wednesday after school). "The gifts came flying in . . ."
That's what I am, grateful. Recently, while doing some writing for a submission, and answering the question: "Who or what shaped your creative path?" 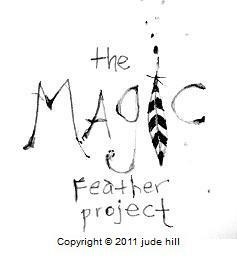 I wrote, "It was about seven years ago that I discovered the work of Jude Hill of Spirit Cloth. Inspired by her creations and on-line teachings, and also with the makings of the cloth community that she has built, I began to find new ways to look into the cloth itself for inspiration of what might be, to use color, shape and stitch in the search for balance and story, and to soak in the process and be with the cloth. All of this has come together into what feels like a personal homecoming." And it's true, being with cloth and the company of all of you does feel like home- a safe, supportive, welcoming place to be. It wasn't until finding the kinship of this community that I was able to think about myself as a maker in many new ways. For this community- for all of you who come by here, for those who have visited the shop, for those who share their own tales, and mostly for Jude, who was the beginning of this chapter in my story. . . I am so very grateful. So, today, thinking about all of this, I stitched up this little cloth. As a small offering back for all of the gifts you've shared with me, I'd like to send it off to one of you. Just leave a comment on this post by Tuesday and I'll draw a name from the hat. "There was a trail of petals"
"The silence of light & flight"